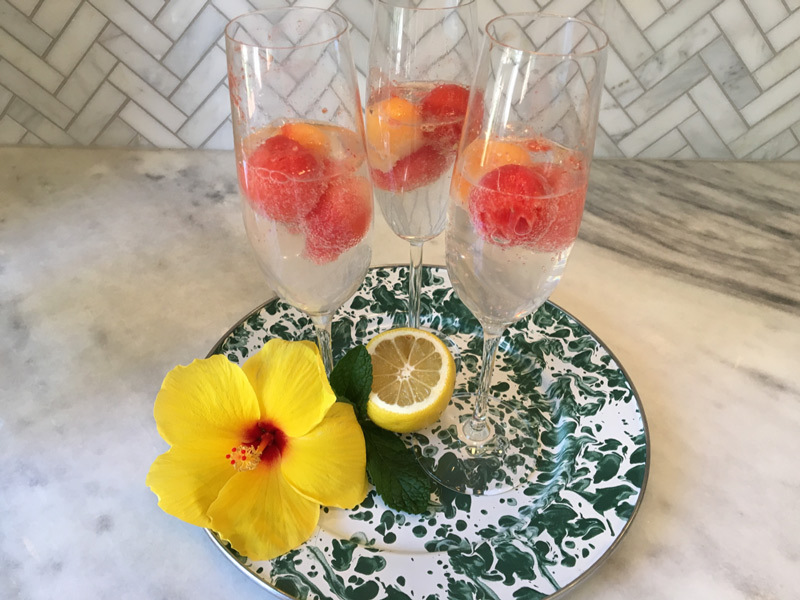 Spiked fruit turns seltzer water into a stunning cocktail that is light on calories and big on fun. Using a melon baller, make a cup of melon balls (about 12) from each melon. Place melon balls in a ziplock bag with vodka and let marinate 2-4 hours. 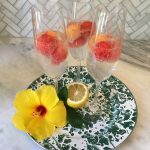 In a champagne flute or wine glass place one each of the marinated melon balls and top with seltzer. Looking for another summery cocktail? 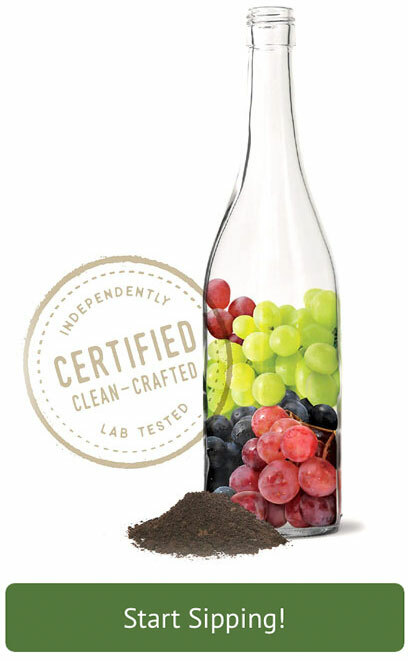 Try my Blonde Sangria recipe with white wine and fresh fruit!